'Perfection takes time, if you rush your patience you will lose like the rabbit in the race.' While looking for an appropriate quote to go with my rabbit sketch I found this one. I try to draw every day to improve my drawing skills, but I can get impatient when I feel I am not there yet. A quote like this one shows me to take things step by step. So here's a new wallpaper for this month. Hello February! While looking for an appropriate quote to go with my rabbit sketch I found this one. I try to draw every day to improve my drawing skills, but I can get impatient when I feel I am not there yet. A quote like this shows me to take things step by step. So here’s a new wallpaper for this month. 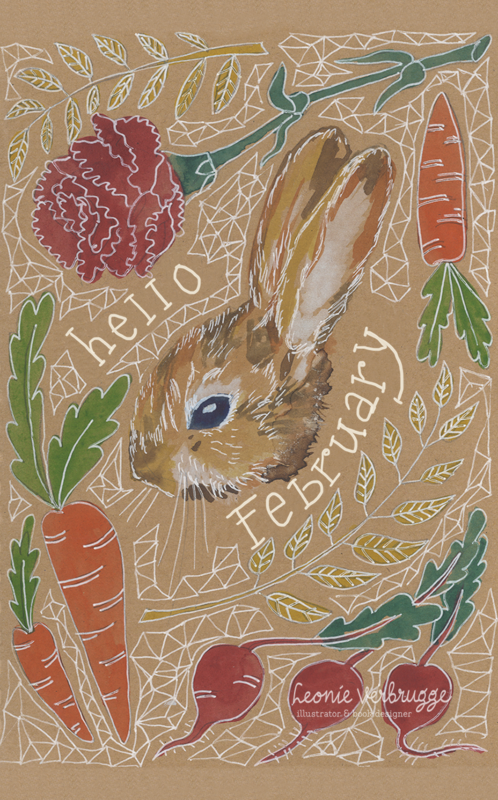 Hello February!